This book demonstrates, complete with practical exercises, how to be successful in both your work and your personal life by becoming a truly authentic leader and empathic influencer. Above all, it shows you how to do this with the positive intention of successful, connected communication and through honouring the other person’s perspective. The book is of particular value to managers and leaders who are very proficient in their areas of expertise, and are looking for ways to improve team and personal performance further by developing their leadership and authentic influencing skills. Clear reasons why authentic leadership and empathic influencing will help in work and personal relationships. How to develop these influencing skills and remain authentic. The evidence, including the relevant neuroscience, as to why this is important. A ‘how to‘ guide. 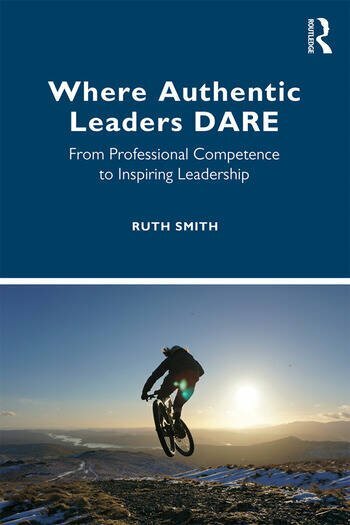 If you are looking for some practical exercises to help develop authentic leadership, then you can go straight here. Ruth Smith is Director of PM-Management and is a highly experienced Executive Coach and facilitator. She has been coaching high performing executives and board level directors since 1990 and delivering her Authentic Leadership Programmes for the past 10 years.